Brhaspati (c. 7th-6th century B. C.) is believed to be the founder of the Charvaka Lokayatika School and the author of its Sutras. The Charvakas Lokayatikas are materialist philosophers. It would be a rude error, however, to restrict the Brhaspati line to the materialism of the Charvakas Lokay­atikas. That would mean narrowing down the social basis of Indian materialism, belittling its significance, and distorting the actual history. 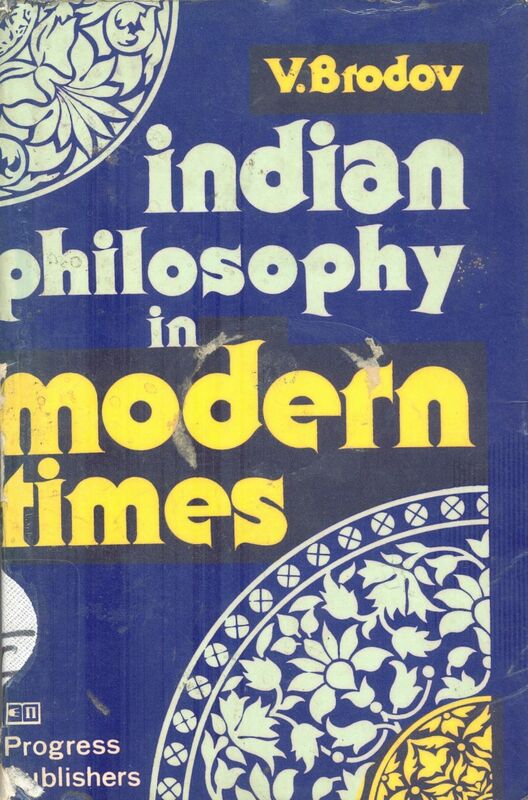 The materialist tendency is actually inherent in nearly all the sys­tems or schools of Indian philosophy, including the objective-idealist system of the Vedanta of the new times, which is shown in the second half of the present work. recognition of the fact that the nature of man's life and activity is determined by the condi­tions of his life and not by a deity. 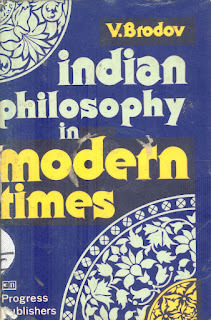 Some of these features are inherent, in some form and to a certain extent, in many systems of Indian philosophy of the medieval period and even of the modern times. It was Brhaspati who gave ancient Indian mate­rialism its distinctive shape. Another outstanding representative of this school was Bhishan. One of the most ancient puranas, the Padma Purana, says that a certain man named Kanada discovered the great teaching called Vaisesika. Gotama compiled the Nyaya shastras, Kapila wrote the Samkya sha­tras, a certain Brahman named Jaimini expounded the greatest atheist teaching and a man named Bhishan, the despised Charvaka teaching, while Vishnu himself, to rout the demons, took the image of Buddha to preach the completely impious doctri­ne of Buddhism. he said, were hypocrites and swindlers. Invoking the Vedas, the priests dupe the simple people with meaningless jumbles of words, living in luxury at the expense of the poor people bringing them of­ferings. Who the offerings for? Gods were non­existent and had never existed. Should there be of­ferings to the deceased relatives? But these became dust and needed no food. Just as a lamp that became extinguished would not be rekindled if oil was added to it, a dead man would not rise from the dead after a sacrificial ritual. Even if we assume that our dead relatives need food, why should we pass the food to the priests? Why should the priests eat the food if our dead ones are to be fed? That is about the same as feeding the people of one village while intending to feed those of another. The Charvakas rejected the idea of the existence of God, recognising four material elements as the substance: earth, water, fire, and air. Combina­tions of these elements produce all objects and phenomena of nature, both material and spiritual. The soul is a body endowed with consciousness; the soul does not exist outside the body. Conscious­ness emerges from unconscious elements as their temporary combination in a specific form under definite conditions. In substantiating this proposition, Bhishan said that a man could not get drunk by eating some rice and a kind of molasses made of beetroot. A mixture of rice and molasses, however, is used to prepare wine on which man can get drunk. Consciousness is nothing but the result of a certain process of combining material elements. A man's death signifies simultaneous destruction of both consciousness and soul. A Charvaka named Ajita Kesakambalin (6th century B. C.) said that both a wise man and a fool die along with the body, both are dead, and have no existence after death. The Charvakas decried religious superstition which kept the people ignorant and oppressed, and opposed their view of cognition as the result of sense perception to religious visions. This viewpoint of naive sensualism certainly had its weak points. While recognising sensations and perceptions to be the only source of knowledge, the Charvakas failed to realise the dialectical unity of the sensual and the rational elements in cognition. They viewed the results of man's cognitive activity in the form of abstract thinking as untrue or at any rate unrelia­ble, containing elements of subjective arbitrariness and errors. The mind (that is, abstract thinking), said the Charvakas, did not exist without sensa­tions and perceptions. Propositions and syllogisms were only possible on the basis of those data which were obtained through sensory channels. Moreover, abstract logical thinking (the mind) could not add anything to that which was given in sense percep­tions. In other words, they failed to see the dialectics of the transition from cognition of phenomena to cognition of the essence, having a very limited and narrow conception of human practice and its role in the process of cognition. For the Charvakas, prac­tice was the process itself of sense perception of the individual objects and phenomena of nature. The role of practice as the criterion of truth was reduced to the verifying activity of our sense organs. The Charvaka materialism is characterised by direct orientation against idealist and religious doct­rines, the desire to prove the untenability of ide­alism and to denounce the falsity and deception of religion and its preachers. Thus the Charvakas' main purpose was denouncing Brahmanist ideology rather than creating a consistent philosophical sys­tem. 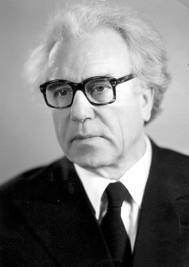 The doctrine of the Charvakas Lokayatikas can be reduced to the following four propositions. (1) Four material elements (mahabhuta) are the basis of all that is: fire, earth, water, and air.3 These elements are spontaneously active, with a force of their own (svabhava) inherent in them. (3) There are no supernatural (divine) forces. God is an invention of the rich to dupe the poor. Charvakas taught that the religion of Brahmanism, just as any other religion, was untenable and harm­ful, for it distracted the attention and strength of the poor towards worshipping imaginary gods, off­ering sacrifices to unknown forces, listening to abstract preaching, etc. Religious writings were based on the fantasies of a certain group of persons materially interested in all this. (4) There is no soul - in the sense in which the ministers of religious cults and, in agreement with the latter, the philosophers used the term. It is matter that thinks, rather than the soul which is alleged to exist independently of matter. (5) The law of karma (requital for both good and bad deeds) is an invention of the adherents of religion employed also by idealist philosophers. The source of evil on this earth should be looked for in the cruelty and injustice existing in society rather than in the properties of human nature and inevitable sufferings said to be predetermined from on high. According to the Charvakas, sense perceptions can be of two kinds, external and internal. Internal perceptions emerge through the action of reason (manas). External perceptions are linked with the activity of the five sense organs. Accordingly, knowledge itself is divided into two kinds or forms: the first kind is the result of contact between the sense organs and the objects of the external world; the second kind of knowledge arises through mental operations on the basis of sense data. Hence one of the most probable versions of the origIn of the name "Charvaka"; char "four", vak "word", that is, "four words". Loka means "world", so that the ancient Indian materi­alists are sometimes called "Lokayatikas". Etymologically, the word taka means "that which is widespread among the people"; "that which is essentially secular". This book is a type of copy paste. The pain of decoding and seeing the implied meaning of sutra or principles has been sidelined. It is the school which talks about democracy and character. It became a prey of academic scam.